The Behringer PSU-HSB-ALL Power Adapter is designed for use with a wide variety of 9-volt devices including over 20 effects pedals at a time and keyboards. 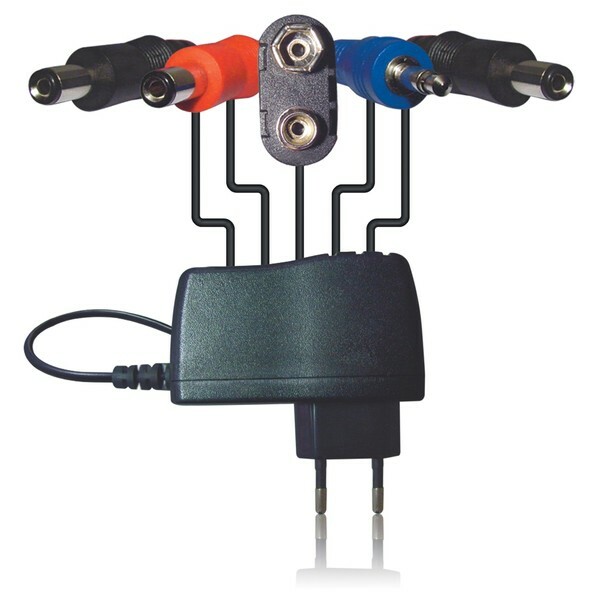 The adapter is supplied with 4 x assorted jumper cables and 2 x daisy-chain cables with 5 x connectors. With a transformerless design, the PSU-HSB-ALL eliminates the 50/60-cycle hum and noise. The Behringer PSU-HSB-ALL features a 2-pin Euro plug and is designed for use with 220V - 240V sockets.